Dharam Sar Lake @ 13,500 ft ASL in Upper Kaghan Valley, Pakistan. 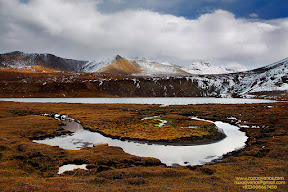 This lake is near Babusar Top and its location is visible from Babusar Top as well. Sept. 15, 2015, 10:59 p.m.